me love poems in my locker. when we dined at the Indian joint. has been a love/hate battle. plays heavily in the dish. please do let me know how it turns out for you if you make this. it was definitely cool to be live abroad, i miss it sometimes. Gorgeous photos. 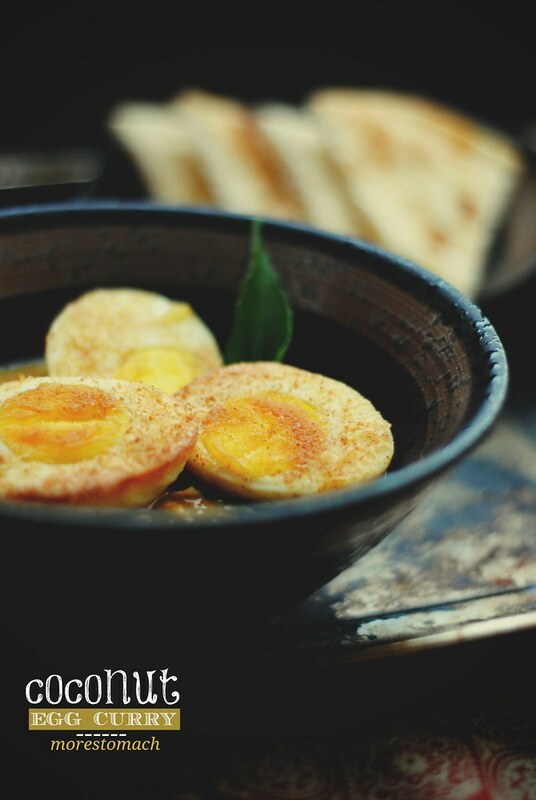 Oh my god, I don’t think hard-boiled eggs have ever looked so appealing. 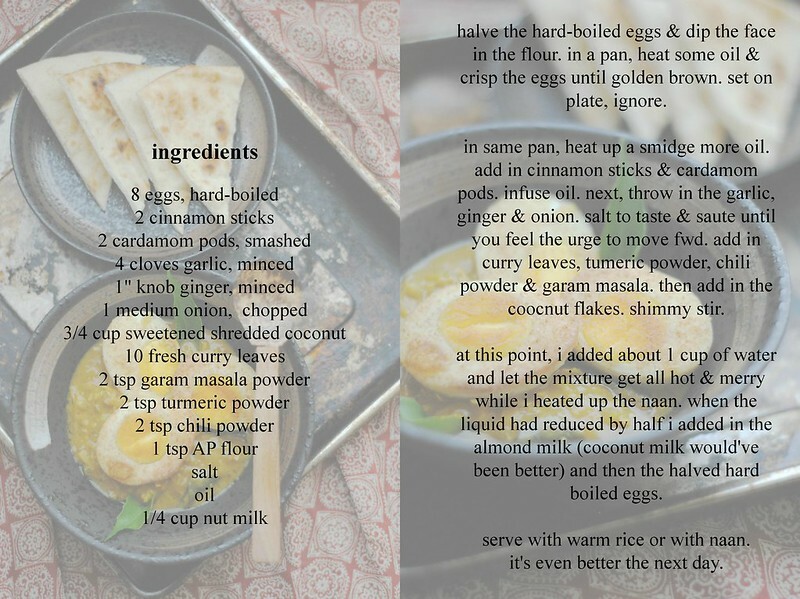 I love egg curries (with or without coconut milk), but my coconut milk ones are sometimes a lot more sauce-y… I like how yours seems like a slightly drier curry– all about the eggs and spices! Yum. i really like extra sauce, to sop up with bread or drizzle over rice, but the coconut flakes really soaked up the extra moisture. how lucky you were to spend a few years in africa. i’m certain that although you spent most of your time in the compound, your time there certainly added a little color to the tapestry of your personal history. yes, i like to think that i’m a bit more well rounded and even though at the time i did not like it there, looking back i had the best time. OH MY. Yes, this speaks to me. I suppose all egg dishes do, but this especially. 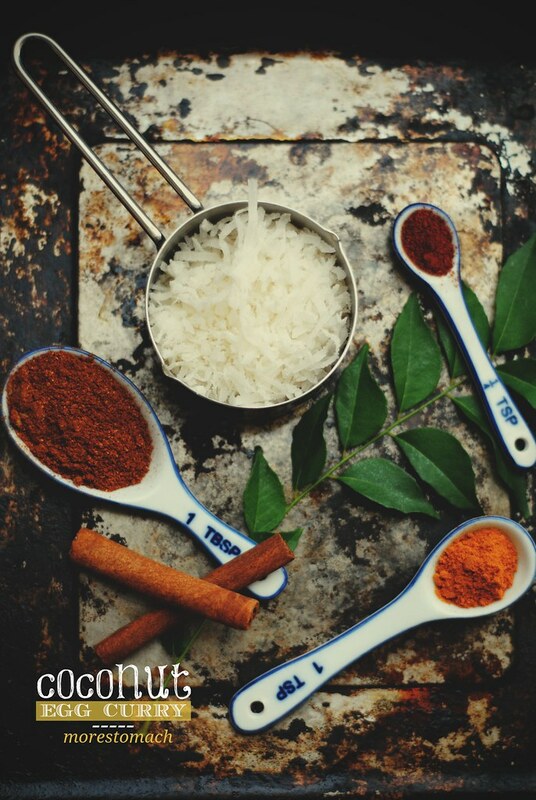 My sister introduced me to more Mediterranean flavors such as rice with cardamom, onions and clovey chicken. I love it, so much more than I thought possible. So this especially appeals to me. I think my nearby Asian market has fresh curry leaves! I love the way you wrote that recipe 🙂 And I loved learning that you lived in Ethiopia. Your use of the word “Compound” makes me think of something restrictedly exotic. Like Lost. i almost want to say that the curry leaves are optional. 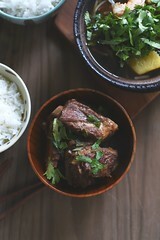 they do add a nice background flavor to the dish but it’s very very subtle. i can assure you, the compound was nothing like Lost! it was very much like a suburban neighborhood…in africa. So glad it satisfied your craving and thanks a bunch for the mention 🙂 I can survive on egg curry day after day! 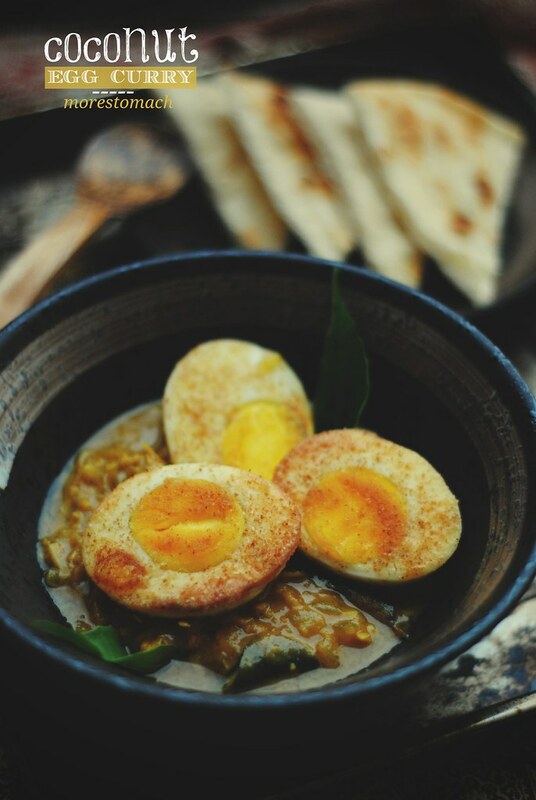 i think i could live off of egg curry daily too! i have been meaning to try Kankanas recipe because like all the readers- i can live off eggs too.